Steve Jobs Might Retire Soon? Steve Jobs today announced in a company wide email that he was taking indefinite leave of absence from his duties as the CEO of Apple due to his health. He is said to want to focus back on improving his health which rumors suggest has been deteriorating lately. This will be Jobs’ third major medical leave after being diagnosed with a rare form of pancreatic cancer in 2003. In 2004 he underwent a complicated surgery to remove a tumor in his pancreas. Althought the procedure was highly successful it leads to further complications such as dramatic weight loss. In 2009 he took up another six-months medical leave to undergo a liver transplant. Jobs’ takes up this latest medical leave just before the launch of the iPhone on Verizon in the US. He is unlikely to be around during the much anticipated announcement of the the new iPad and the iPhone 5 in the coming months. Tim Cook, the company’s COO will undertake day-to-day responsibilities in the absence of Steve. Tim had done this twice already and his responsibilites grow and many analysts see him as a successor to Steve Jobs. However Jobs vision has made Apple a successful company and his absense or even a retirement will be bad news for Apple. Some analysts are worried that Jobs might come out of this medical leave requesting retirement which will be bad news for Apple. Without Jobs’ insight and vision, it will be up to Tim Cook and other higher level officers to be able to steer the company. 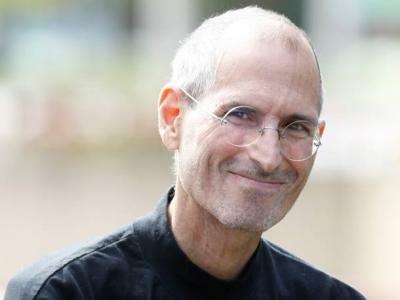 A Great Loss – Steve Jobs Dies Today at 56!